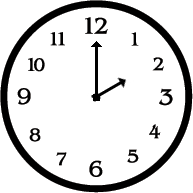 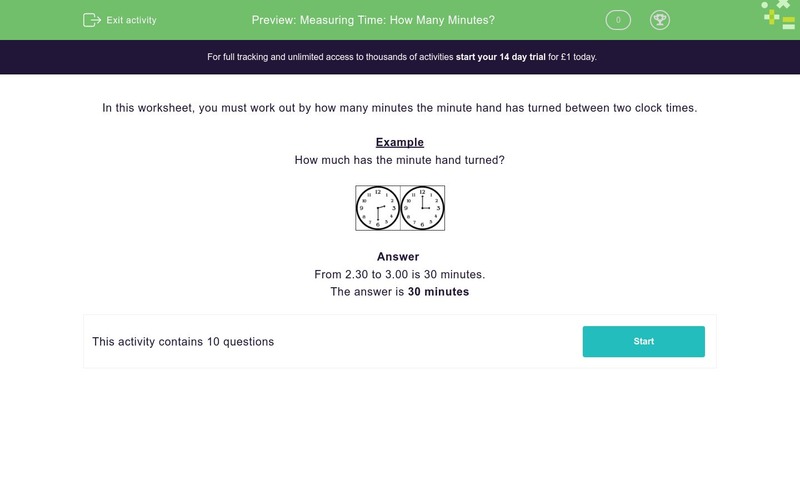 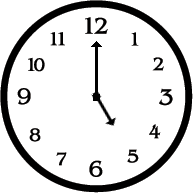 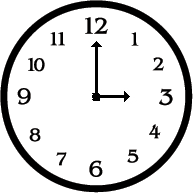 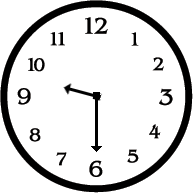 In this worksheet, students work out by how many minutes the minute hand has turned between two clock times. In this worksheet, you must work out by how many minutes the minute hand has turned between two clock times. How much has the minute hand turned? 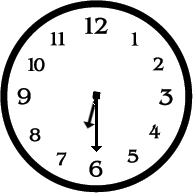 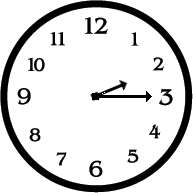 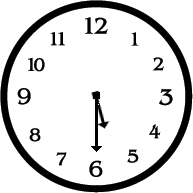 From 2.30 to 3.00 is 30 minutes.